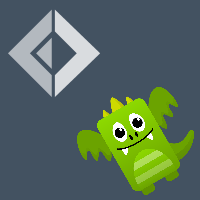 NuGet Gallery | Packages matching Tags:"eventsourcing"
169 packages returned for Tags:"eventsourcing"
Base types for creating Microsoft Orleans grains with event-sourced state. A simple DDD event sourcing library based entirely on my learnings from Greg Young's DDD, CQRS and Event Sourcing course. NES (.NET Event Sourcing) is a lightweight framework that helps you build domain models when you're doing event sourcing. A RavenDB event store implementation for Regalo.Core. Simple, fully unit-tested fake implementations of interfaces from Regalo.Core, to aid unit testing. A Microsoft SQL Server event store implementation for Regalo.Core. Simple Event Store (SES) provides a lightweight event sourcing abstraction.